I bake a lot, and I really enjoy baking from scratch. I love the process and experimenting with new recipes and ingredients that challenge me. But sometimes, for one reason or another, I just don’t have time to bake from scratch, so hacks and shortcuts are welcome. 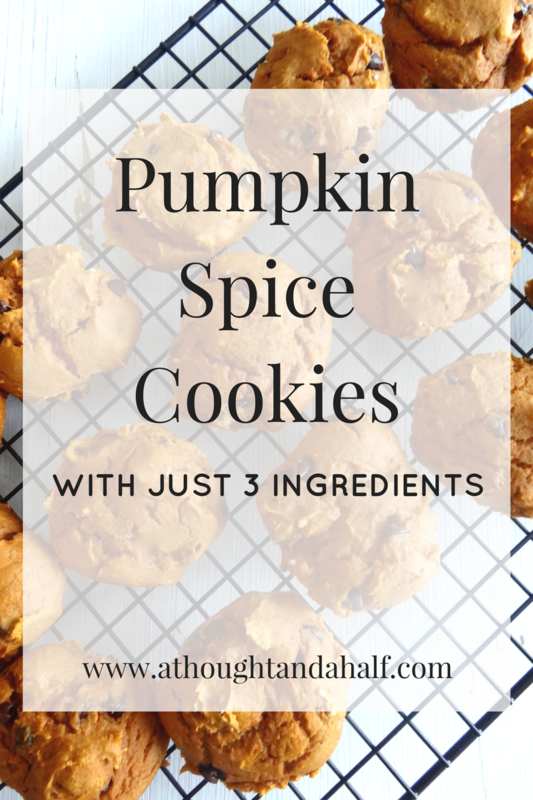 Especially when those hacks lead to pumpkin spice cookies. A hack or shortcut isn’t always a bad thing. 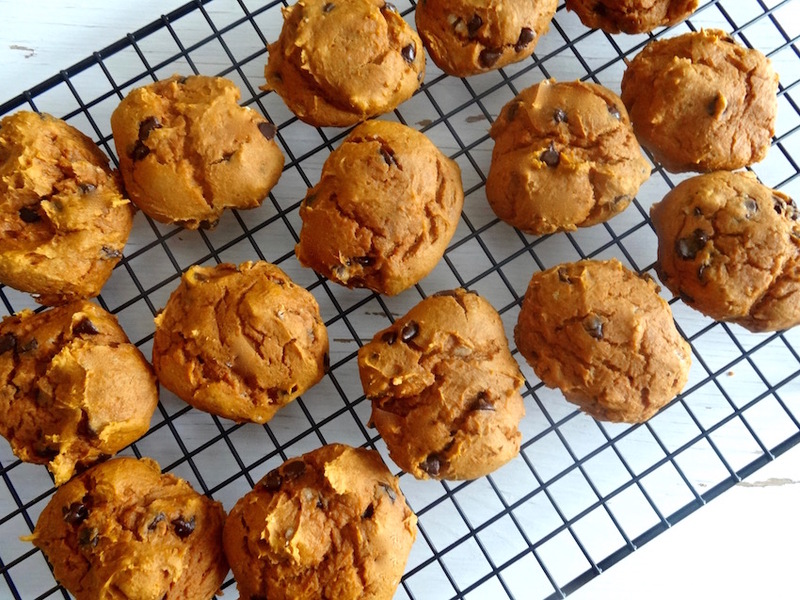 I’ve found one ingredient that makes absolutely delicious cookies (and muffins, and cupcakes, and breads) with half the effort as baking from scratch. Cake mix is a super versatile ingredient. When holiday baking season comes around (or soccer tailgating in the summer), I keep a couple boxes of cake mix on hand for expedient baking. Using it for cookies gives them a really soft and light, but moist texture, which, if you ask me, is the perfect cookie. I love a good chocolate chip cookie made with cake mix. I don’t see pumpkin as an October- or Halloween-only ingredient. I use it in cooking and baking all fall long, and sometimes even into January. There’s just so much you can do with it, especially in the baking department: breads, muffins, pancakes, cupcakes, cookies… so many options! No one in my family is really big on pumpkin pie, so at Thanksgiving, we opt for different pumpkin-flavored desserts. Last year I made a pumpkin cheesecake (and it was deeeeelicious), but this year, I may go for a variety of cookies. They’re easy to pick up and eat as you’re mingling with family and friends, and they’re pretty easy to transport to other dinners and parties. Plus, I just really enjoy making cookies. And I promise, y’all can make these cookies in no time. 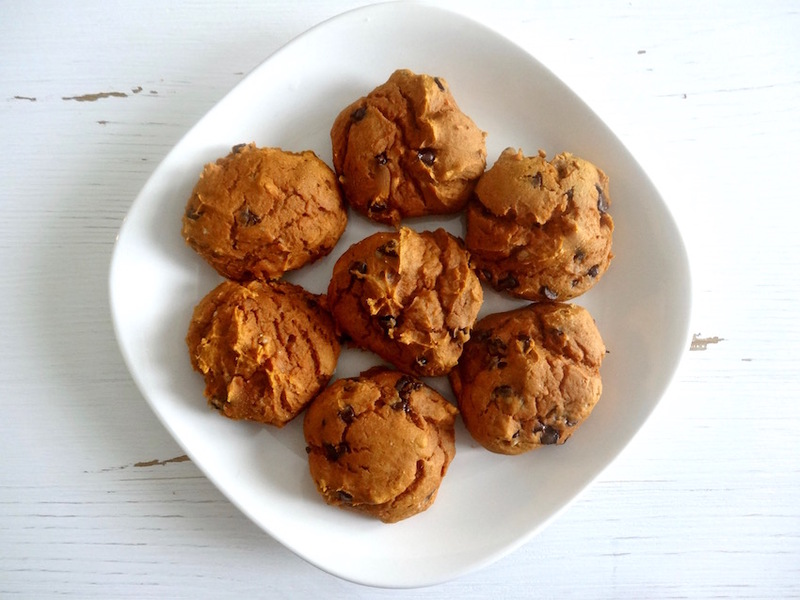 That’s the beauty of 3-ingredient pumpkin spice cookies! Here’s my recipe for super easy Pumpkin Spice Cookies, with 3 simple ingredients! Easy and pretty cheap, too. You can make these cookies for under $10. This batch will make 24-30 cookies. 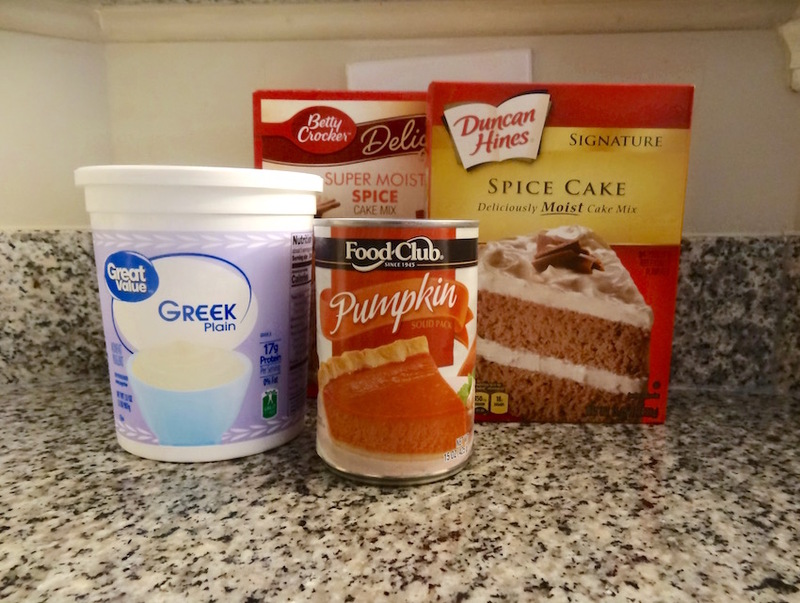 *If you can’t find spice cake mix, you can use white cake mix and add 1 tbsp pumpkin pie spice. Preheat oven to 350 degrees F. Lightly grease a baking sheet, or line it with parchment paper. Drop dough onto the baking sheet by the spoonful, about 2 inches apart. You’ll fit about 12 drops of dough per sheet. Bake for 10 minutes, or until cookies are a little brown around the edges but soft in the middle. Remove from the oven and move cookies to a wire rack to cool. See? I told y’all, it really couldn’t be easier. You can easily whip these cookies up in less than an hour. Since these are so quick and easy to make, they’re ideal for last-minute or short-notice situations, or when you’re busy and don’t have time to put together something elaborate. They’ll also make great treats for Halloween night… for Trick-or-Treaters or candy distributors.